"Band Hero features an all-star lineup of pop music featuring the best variety of classic chart-topping hits and current hot artists. This demo features Finger Eleven “Paralyzer”, Katrina & The Waves “Walking on Sunshine" and Taylor Swift “Picture to Burn”. Includes Party Play and the all-new Sing-Along mode. 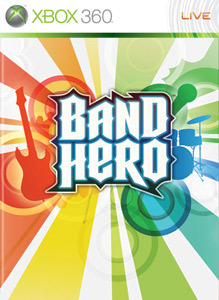 For more information on features for the full-title, please visit www.BandHero.com."